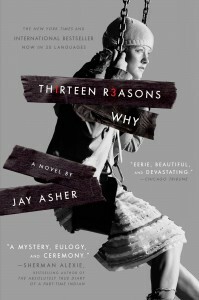 Although Asher’s book was first published ten years ago, it has recently encountered a sudden surge in challenges, bans, and restrictions in schools around the country due to panicked adult backlash against the Netflix series based on it, which met with instant success among teens after its March 31 release. The series in particular has been criticized by some for allegedly glamorizing teen suicide as it depicts the events leading up to the death of Hannah Baker, a high school student who kills herself after recording 13 cassette taped messages for people she feels contributed to her misery. The policy and/or procedure for prior approval of instructional materials does not appear to be outlined in Anderson County Schools’ policy manual. There is a policy (08.2322) and procedure (08.2322 AP.1) for review of instructional materials challenged “on the basis of citizen concerns,” which requires the formation of a review committee. As in other cases concerning the restriction of this particular book across the country, however, it seems that the district did not actually receive a challenge from a parent or other member of the public before deciding to remove it from the classroom. By all appearances, this is yet another example of Asher’s original novel being conflated with the Netflix series based on no evidence that either actually has a detrimental effect on students in general. In fact, the author himself frequently hears from young readers who tell him that the book literally saved their lives because they recognized Hannah’s suicidal tendencies in themselves and sought help before it was too late. At the very least, Anderson County Schools should take steps to clarify the approval process for instructional materials, and explain why the novel became inappropriate for classroom use only after the release of the streaming series.